Christian Dior. Preface by Raymond Thuilier. Recipes compiled by Jacques Rouet. Notes and afterword by Robert J. Courtine. Illustrations by Rene Gruau. Paris. Societe Christian Dior. 1972. First edition. Limited edition of 4,000, this being number 2,311 of 3,965 copies printed on Lascaux. 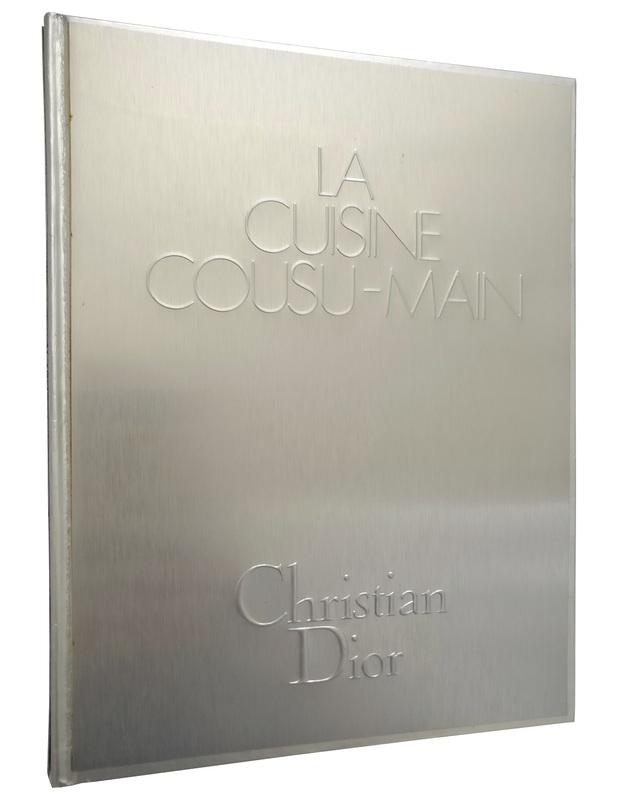 Silver-covered boards, with metal sheets to front, back and spine with title embossed to surface, housed in perspex slipcase with metal spine embossed with title, with perspex clip. 105 pages, printed bookmark with a design by Dior attached by ribbon. 11 full-page illustrations by Rene Gruau, being black drawings printed on different coloured paper. 285 x 215mm (11¼ x 8½"). 1.3kg. . French. 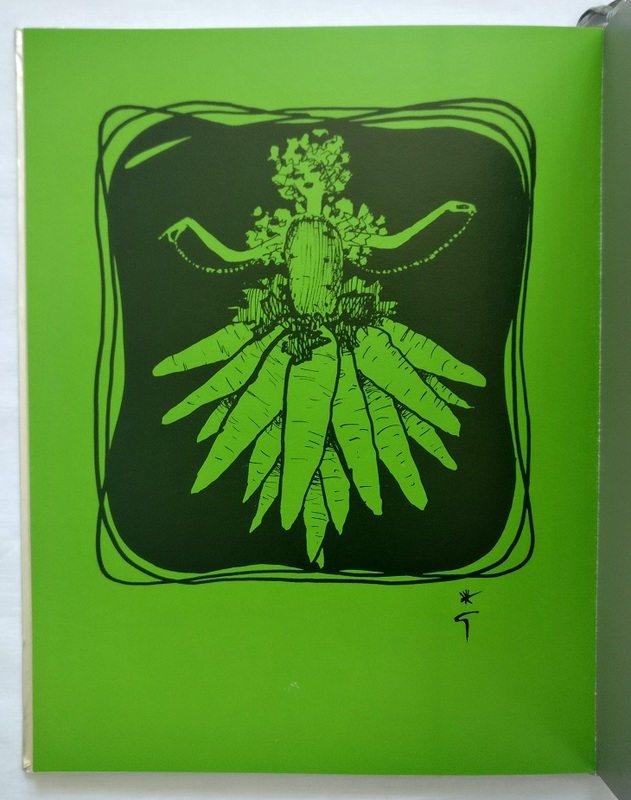 Near fine; light scratching and marks to perspex slipcase, metal spine is fine; a few very faint scratches to rear metal sheet, a pin-prick mark to front sheet; bookmark is fine, internally clean, no inscriptions; an excellent copy, well-preserved in the original case. 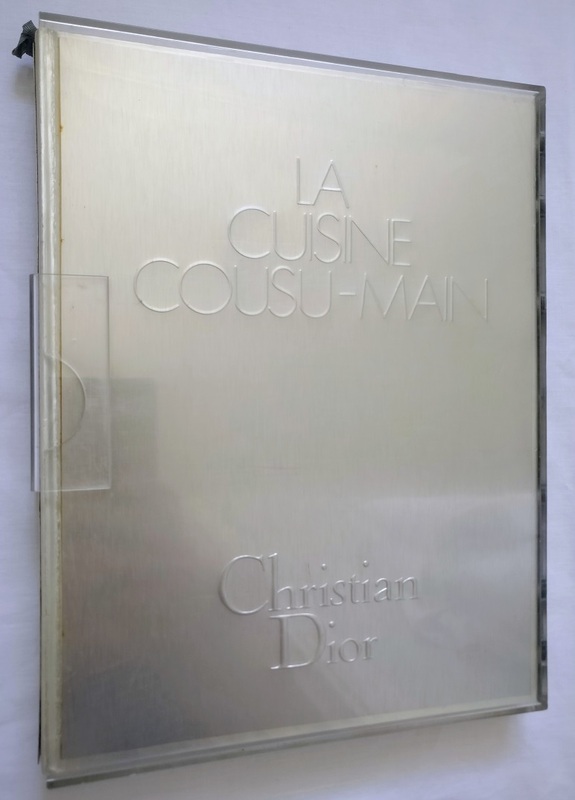 An excellent copy of a fragile, beautifully-produced publication celebrating Christian Dior, the passionate gourmand, with illustrations by Rene Gruau. 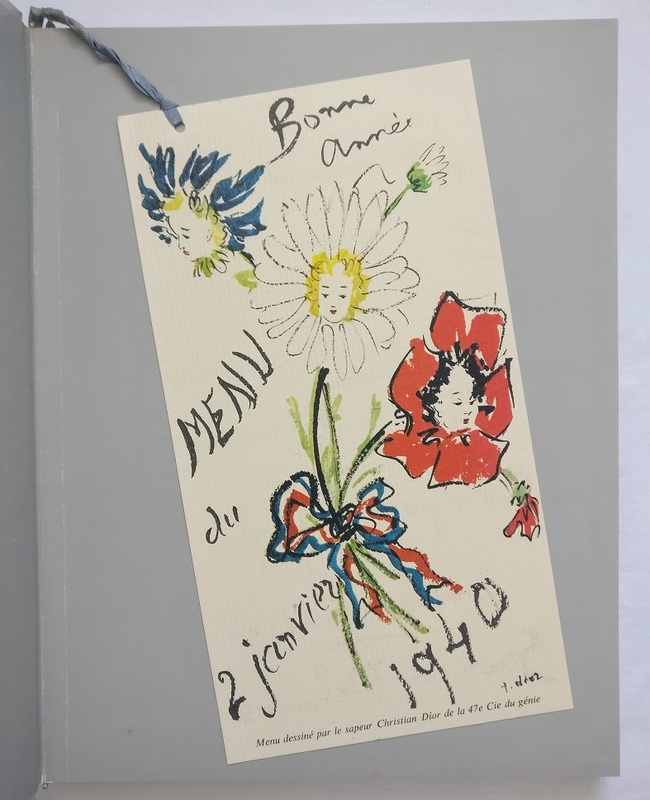 Dior gave the same meticulous attention to his food menus as he did to his couture creations. The recipes that he researched and created to entertain his friends are collected here in a collection of French classics and lesser known gastronomic delicacies. Highlights include Poulet au dom perignon, Crepes fourrees de mousse de saumon, Saumon en gelee au dom perignon, Oeufs poches moscovites, Salade de pissenlits au lard et au dom perignon, and Sorbet a la banane. Lots of Dom Perignon. 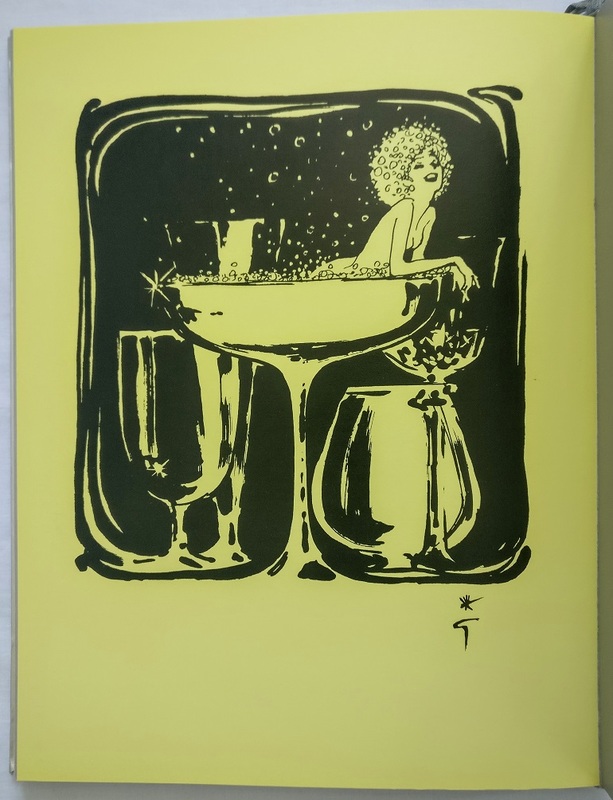 The whole is illustrated with charming plates by Rene Gruau.